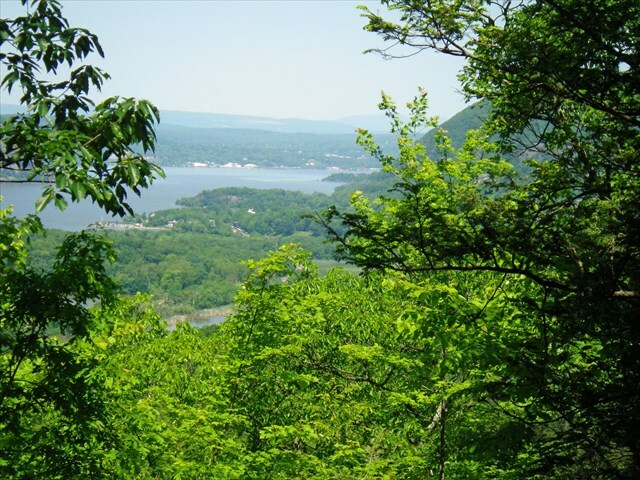 A short hike in the Garrison School Forest and Hudson Highland State Park to the North Redoubt, where the remains of Revolutionary War fortifications can be found. Access this cache from 135 Snake Hill Rd. Drive approximately .18 miles up the unpaved driveway to the parking area. The trail to the North Redoubt is ahead and to the right. The walk begins in the Garrison School Forest. There are few blazes on the trees in this direction, but the path is very easy to follow. After you leave the School Forest, the trail is marked with red Open Space Institute discs (faded to orange or pink in some places.) There is only one tricky spot. 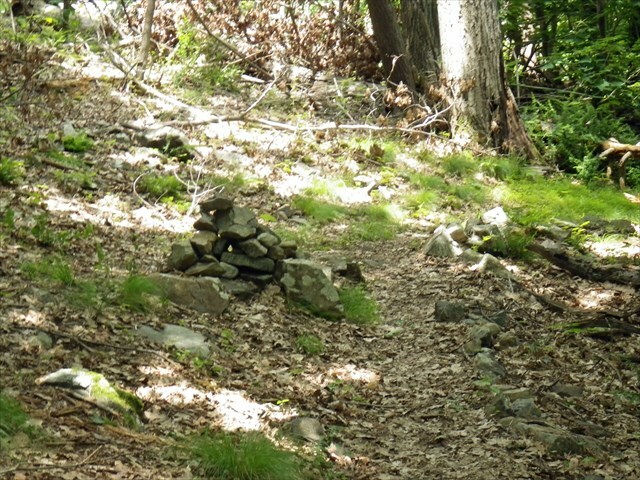 Watch for a knee-high rock cairn and then turn left, onto a red-blazed spur, for the final ascent. Out-and-back to the cache is less than 1 mile. Figure on a round trip of a mile or so if you also want to explore the remains of the fortifications. The cache is a mid-sized lock 'n' lock hidden near the Redoubt, but far enough away so we did not disturb the historically sensitive area. 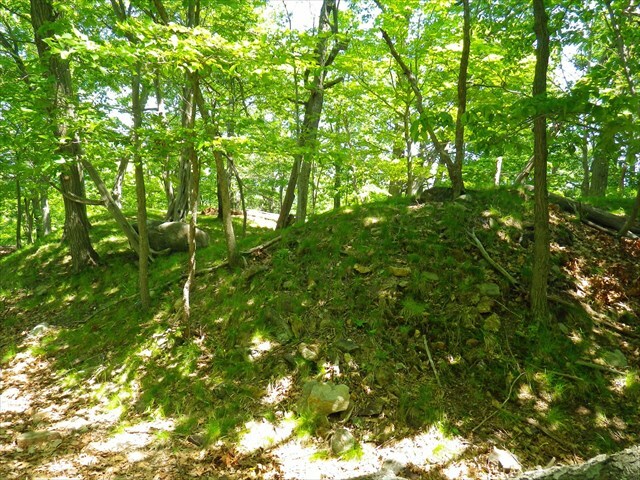 After finding the cache (or before) return to the blazed trail and continue a few hundred feet to the end of the path, where you will find earthworks that were part of the Revolutionary War fortifications comprising the North Redoubt. The North and South Redoubts were important defensive positions during the Revolutionary War. They were intended to protect the Hudson River and West Point against a British attack from the east. Gen. George Washington was inspecting the redoubts on Sept. 25, 1780 -- the same day Benedict Arnold was trying to escape after his failed attempt at turning over the plans of the West Point defenses to the British. There also is a cache at the South Redoubt. You can access that cache (Putnam's Redoubt) from the same parking area. The trail to the South Redoubt leaves the parking lot to the left (presuming you are facing away from Snake Hill Road.) If you have not visited the South Redoubt we suggest doing that cache first. There is an informational kiosk which explains the surviving fortifications, and that will help you recognize the artifacts at the North Redoubt, where there are no signs. (Eagle Scout project, anyone?) From the South Redoubt, retrace your steps to the parking area to pick up the trail to the North Redoubt. 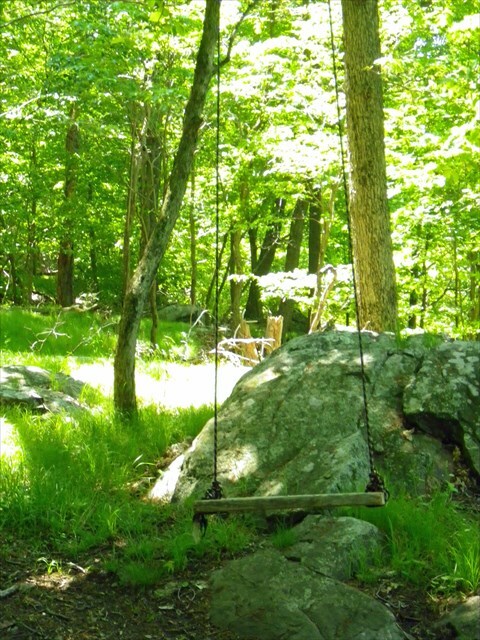 The New York OPRHP has issued Hudson Highlands permit 3-12 for this cache. A rousing "Huzzah!" to Team BacMac for the first to find. Defending the HudsonThe North Redoubt commands a sweeping view of the Hudson River. North RedoubtA section of earthworks, part of the fortifications at the North Redoubt. The cairn: Turn left hereSpur trail to the North Redoubt (and the cache) turns left here. Those swinging Continentals!What is this doing here?